A classroom of Shree Ram Primary School used as store. 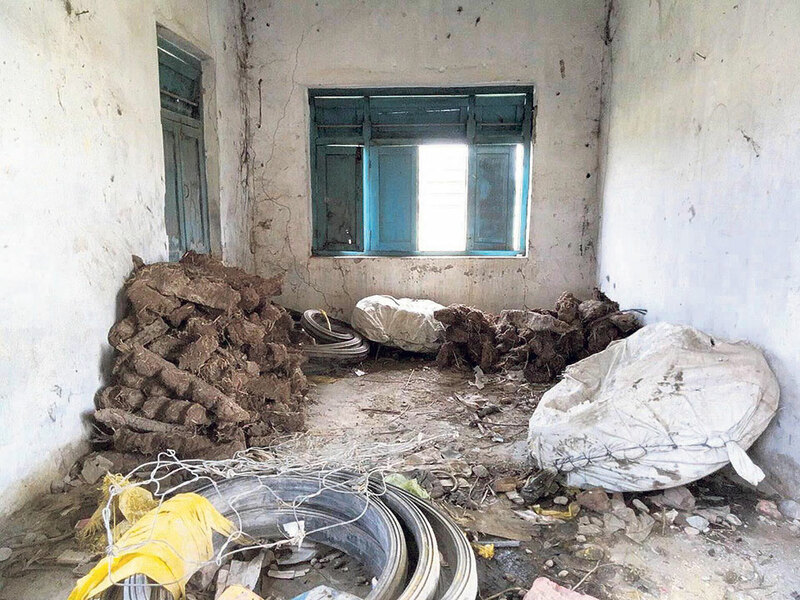 MAHOTTARI, June 4: There is a pile of cow-dung cakes in one side of the room and some materials wrapped up in a plastic bag in another corner. There are some bundles of fencing wire in the same room and lots of other trash. At a glance, this congested room with dilapidated windows and doors may seem like a garbage house but in reality, it is a classroom. It is a classroom of Shree Ram Primary School of Gaushala Municipality-5, Mahabir Tole. Surprisingly, this place falls under the constituency where Minister for Education, Science and Technology Giriraj Mani Pokhrel was elected. Though these rooms were supposed be used for teaching students, they have been used for storing waste materials. When the condition of the school in the constituency of education minister is so worse, it might not be hard to imagine the condition of schools in other places. 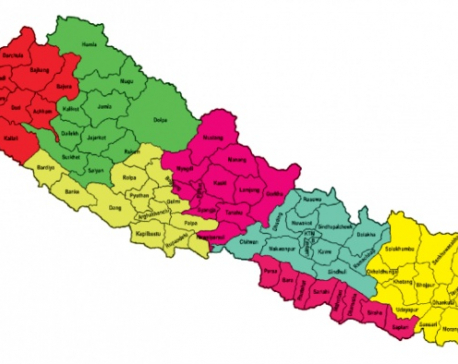 Not just Minister Pokhrel but provincial assembly members Bharat Shah and his wife Dil Kumari Shah also represent this constituency. As the school fails to run regular classes for students, the classrooms have become a junction for drunkards and gamblers. In the absence of proper walls, anyone can enter the school and break the furniture and steal the belongings of the school. This has destroyed the infrastructure of the school, said Laxmi Kumari, one of the teachers of the school. "None of the desk and benches is strong," said Laxmi, adding, "This is the reason why we are obliged to teach the students on floors." According to Shambhu Prasad Singh, chairperson of the School Management Committee, the condition of this school has become miserable since one year. The school was established in 2007. "Its condition is further deteriorating in lack of grant and financial help," laments Singh. As per the record, there are 150 students in the school but only three to five students attend classes regularly. Only two teachers have been teaching all the students. Chairperson Singh has urged the responsible authorities to increase the government-sanctioned positions for teachers. Arjun Mandal, former chairperson of the SMC, blames political meddling for the pathetic condition of the school. Most of the students belong to underprivileged and marginalized communities. Despite its dilapidated condition, the school has failed to draw the attention of the responsible authorities.